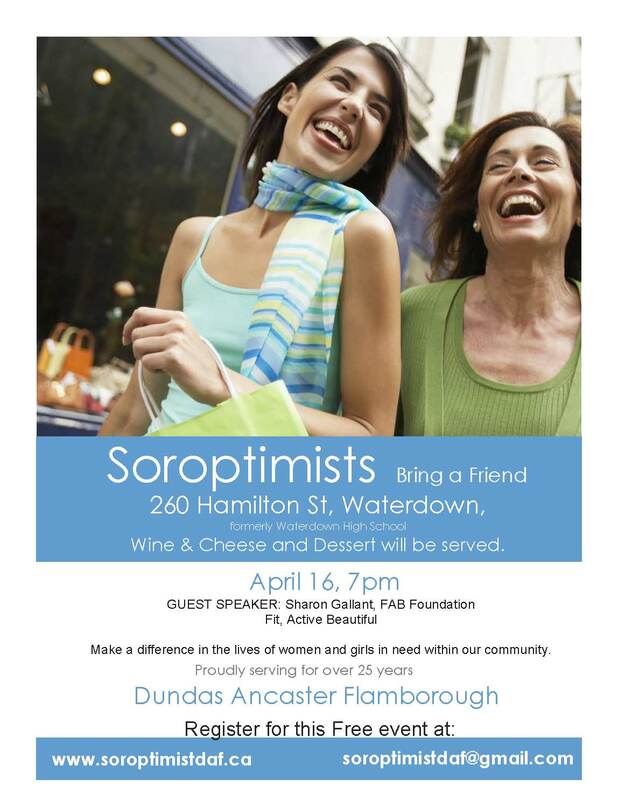 Join us to hear Sharon Gallant, FAB Foundation Fit, Active Beautiful and learn more about what Soroptimist does to make a difference in the lives of women and girls in need within our community. Wine & Cheese and Dessert will be served. Located at 260 Hamilton St, Waterdown (formerly Waterdown High School) on April 16, 7pm. Look for our banner at the door. 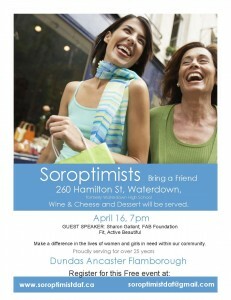 Soroptimist International of Dundas Ancaster Flamborough. Proudly serving our community for over 25 years.